Long ago, the Coma star cluster represented the Lion’s tufted tail. 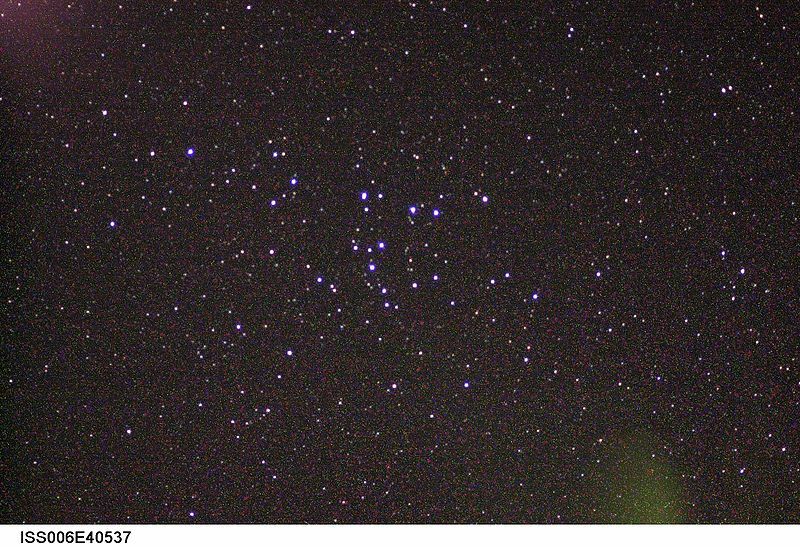 It is a beautiful cluster, well worth taking the time to pick out in the night sky. You can see Leo from the suburbs, but you’ll need a dark sky to find the cluster. In mid-evening now, as seen from mid-northern latitudes in the Northern Hemisphere, the constellation of the Lion will be high in the southern sky. 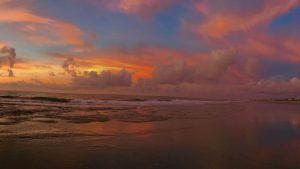 You’ll see the Lion at nightfall, too, though more in the south-southeastern portion of sky. 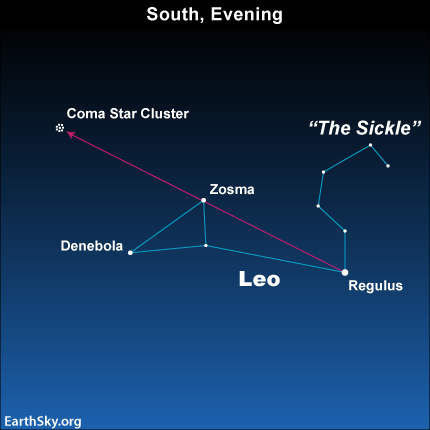 We’ll talk more about the star cluster shortly, but first here’s how to spot Leo. Notice the chart above. 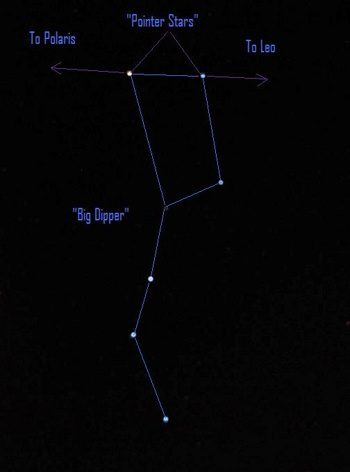 A line between the two outer stars in the Bowl of the Big Dipper always points toward Leo. Two distinctive star patterns make the Lion fairly easy to identify. Leo’s brightest star – the sparkling blue-white gem Regulus – marks the bottom of a backward question mark of stars known as The Sickle. A triangle of stars highlights the Lion’s hindquarters and tail. If you see a Lion in this pattern of stars, the Sickle outlines the Lion’s mane. The triangle, meanwhile, marks the back side of Leo. Denebola, the name of the outermost star in this rear triangle of Leo, is an Arabic term meaning the Lion’s Tail. EarthSky Facebook friend Zhean Peter Nacionales in the Philippines captured this view of the Coma star cluster in April 2013. 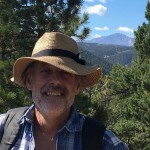 He wrote, “I learned at the EarthSky page to star-hop from Leo to the Coma star cluster, so I packed up my camera and tripod. It was worth it. I definitely saw this star cluster.” Thank you, Zhean! Now let’s try star-hopping from Leo the Lion to the Coma star cluster. Nowadays, this part of the sky belongs to another constellation, Coma Berenices or Berenice’s Hair. 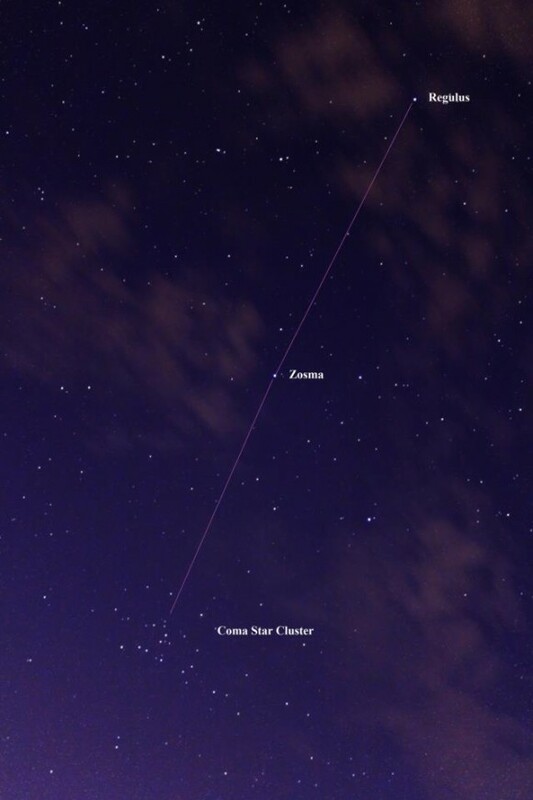 As shown on the chart at the top of this post, or in the photo above from Zhean Peter Nacionales, you can draw a line from the star Regulus through the top star of the triangle (Zosma), and go about twice this distance to locate the cluster. The Coma star cluster is also called Melotte 111. It’s visible to the unaided eye in a dark country sky. You might need binoculars to see this loose tangle of stars if your skies are beset by light pollution. It is a beautiful sight in a dark sky. Find a dark sky location near you here. This is an open star cluster. That means its stars were probably born together from a single cloud of gas and dust in space, and they are still loosely bound by gravity. There are about 100 stars in the Coma star cluster, which lies some 288 light-years distant. In other words, this star cluster lies within our Milky Way galaxy. Coma star cluster in the direction of our constellation Coma Berenices. It is an open star cluster, whose member stars are thought to be loosely bound by gravity. Image via NASA/Expedition 6. A majestic face-on spiral galaxy located deep within the Coma Cluster of galaxies. Image via NASA. But wait. There’s more in this direction of space: a vast collection of galaxies external to our Milky Way. 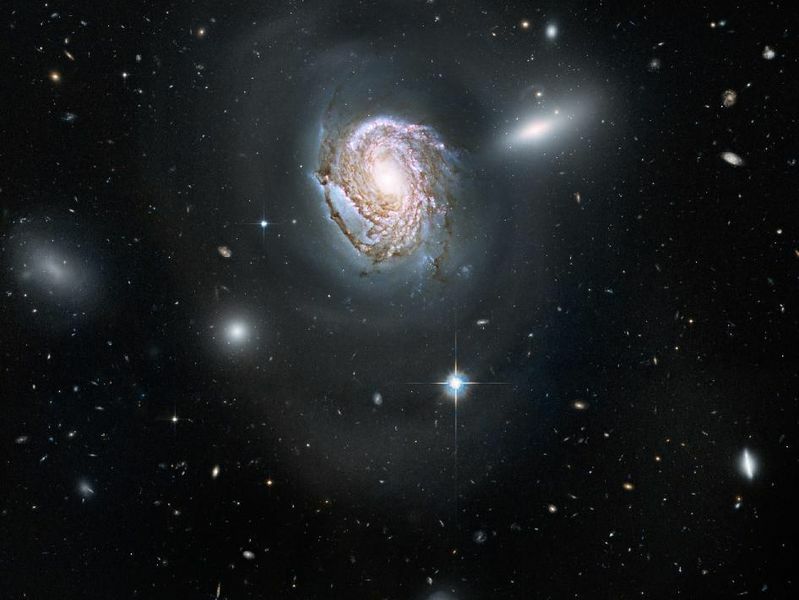 The Coma galaxy cluster, also in the direction of the constellation Coma Berenices, is made up not of individual stars, but of whole galaxies of stars. It is invisible to the unaided eye (or even in a small telescope), but astronomers with large telescopes study this region of space to learn more about the cosmos. Bottom line: On springtime evenings, star-hop from the constellation Leo to the Coma star cluster in the constellation Coma Berenices. Plus – although you cannot see it with your eye or with binoculars – a huge cluster of external galaxies lies in the direction of Coma Berenices.